Majority of Spring 2016 climbers have reached their respective Base Camps and are set for first foray up the mountain. Annapurna is the only exception, where teams await a second summit window. Strong wind reigns the summit of Annapurna again. A week ago, the signs of a partial respite urged the climbers for a summit attempt. Eventually, a few climbers reached and turned back from 7800m. While Tunc Findik and a Japanese climber decided to abandon their expedition, everyone else is sitting tight in anticipation of a summit window in near future. Conditions aren’t particularly distressing at Base Camp, where mornings are sunny and warm, with clouds and occasional snowfall in afternoon. However, the summit is continuously being swept by gusts approaching 80 km/hr. “The Mountain is still in good condition while wind holds us in the base camp. In a few days [it] will improve, I’m convinced,” says Carlos Soria. 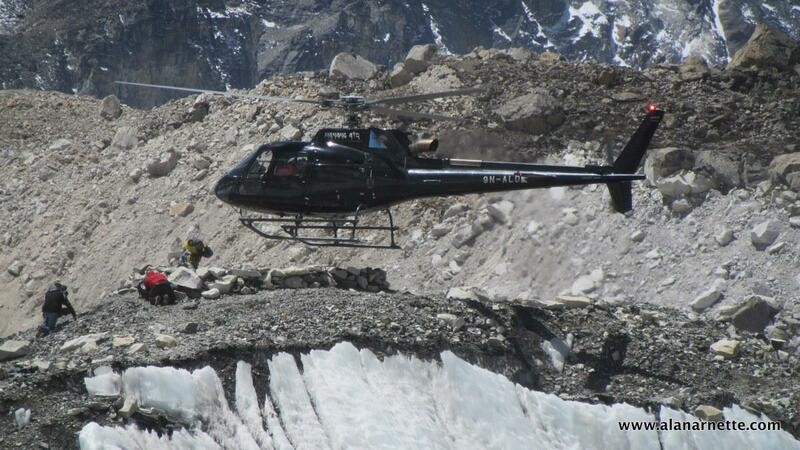 It is business as usual on Nepal side of Everest. 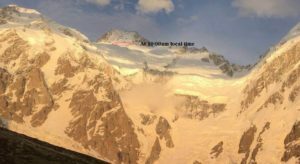 Route fixing through Icefall – onwards till C2 – have been completed. Teams are going up for acclimatization. 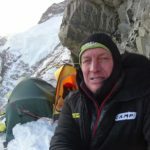 As per Alan Arnette, who is attempting Lhotse this season, operators have been allowed to take climbing gear till C1 using helicopter. This will significantly reduce Sherpa trips through Icefall. Alan also mentions that route through icefall is relatively difficult than 2015. Warmer conditions may be one of the reasons for this. “Weather continues to be quite warm, more like late May than mid-April,” the American climber commented. 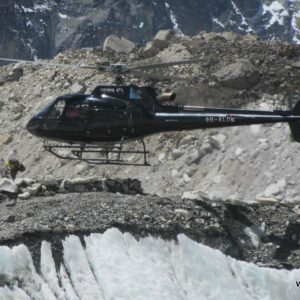 First team (Russian operator ‘7 Summit Club’) arrived at Chinese Base Camp on Everest North side couple of days ago. Majority of other teams will also be in BC in a week’s time. 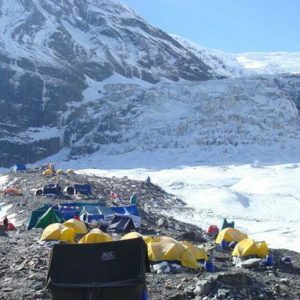 Climbing is about to get underway on Dhaulagiri where at least two teams have reached BC and another one is acclimatizing on an adjacent peak. The Indian team (Prasad Joshi, Ashish Mane, Akshay Patke and Pawan hadole) arrived at BC earlier this week. 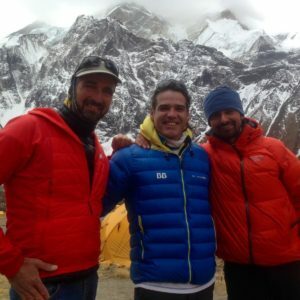 They were waiting for Puja ceremony before working on rope fixing through Icefall to Northeast Col. Spaniards Juanito Oiarzabal and Alberto Zerain also flew to BC on April 18th. They acclimatized in Khumbu valley before heading to Dhaulagiri. Meanwhile British Services medical research team is concluding acclimatization in Hidden Valley. After initial climb on Dhampus Peak (6035m), four members of the team attempted Tukuche Ri (6920m) this week. Two of them summited on April 20th. They will moving to Dhaulagiri BC, over the French Pass, in coming days. Makalu teams have been trekking towards Base Camp since a while. 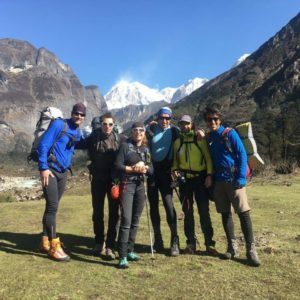 They reached Hillary BC (4800m) on April 20th and will be heading up towards ABC (or actual BC) at 5700m in a couple of days. 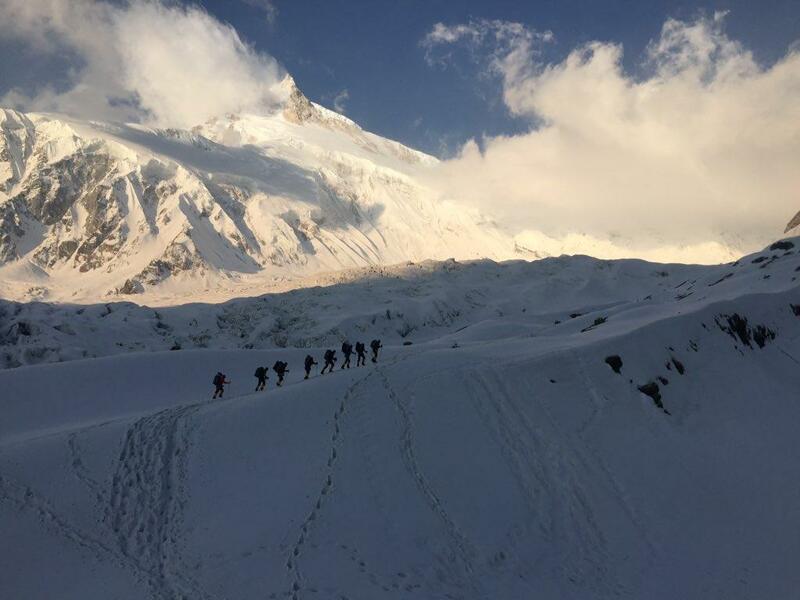 Climbers are on the way to C2 on Manaslu, today. 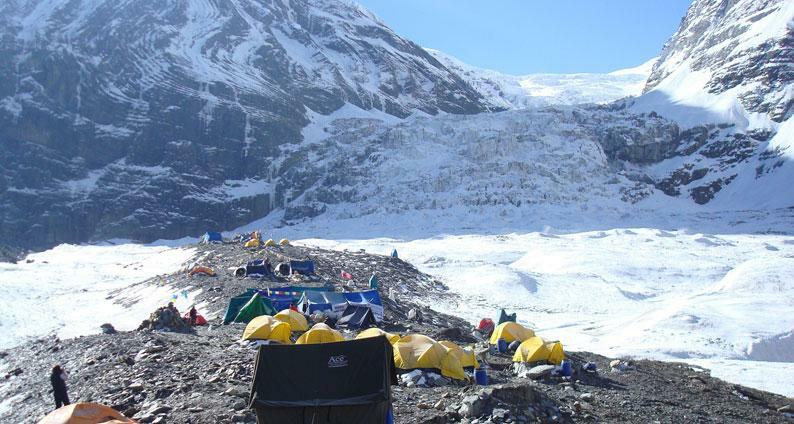 Multiple teams reached Base Camp on April 13th and started the climb on 18th. 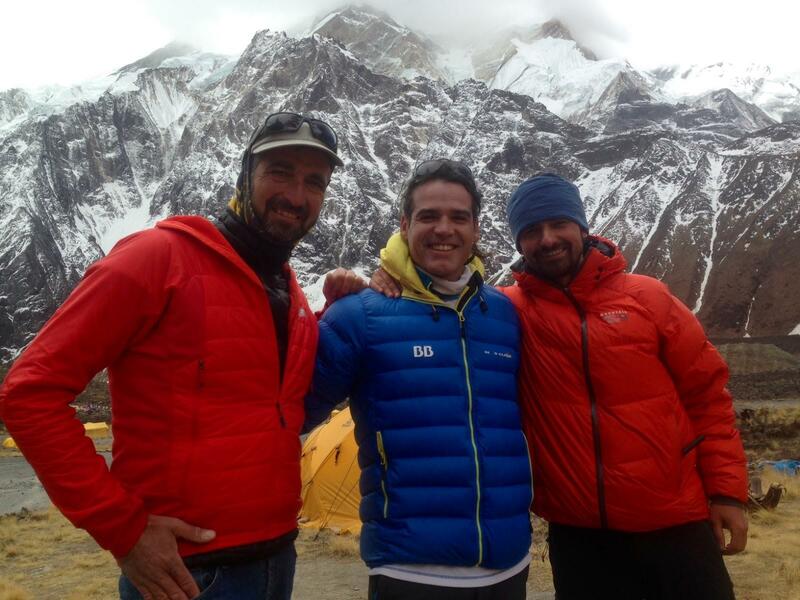 They set up C1 at 5800m and spent a night there. The weather has been little unpredictable. “There was a strong snowstorm with lightning and everything during the night.” Peter Hamor wrote on April 19th. The Dutch Korps Mariniers team departed towards C2 from BC, early this morning. First team reached Cho Oyu ABC (5700m) yesterday. “No snow on the moraine – marked route with stone cairns. 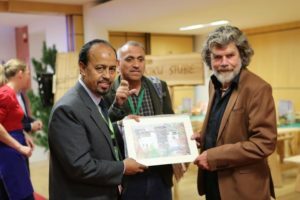 We are the first expedition who reached ABC-5700m,” messaged Thomas Laemmle. A few teams are trekking towards ABC today, while others are still in Lhasa. 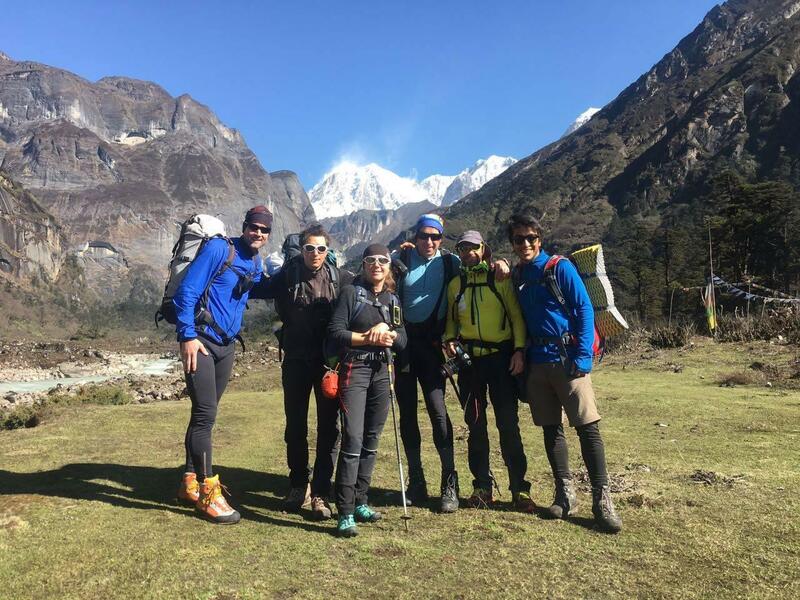 After completing pre-expedition acclimatization in Khumbu valley, David Gottler and Ueli Steck returned to Kathmandu on April 16th and flew to Lhasa next day. 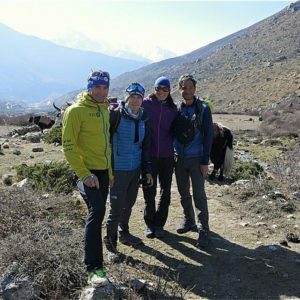 After drive through Tibetan plateau, they started the trek to Shisha Pangma South Face BC on April 20th. The two climbers intend to open a new route in alpine style. 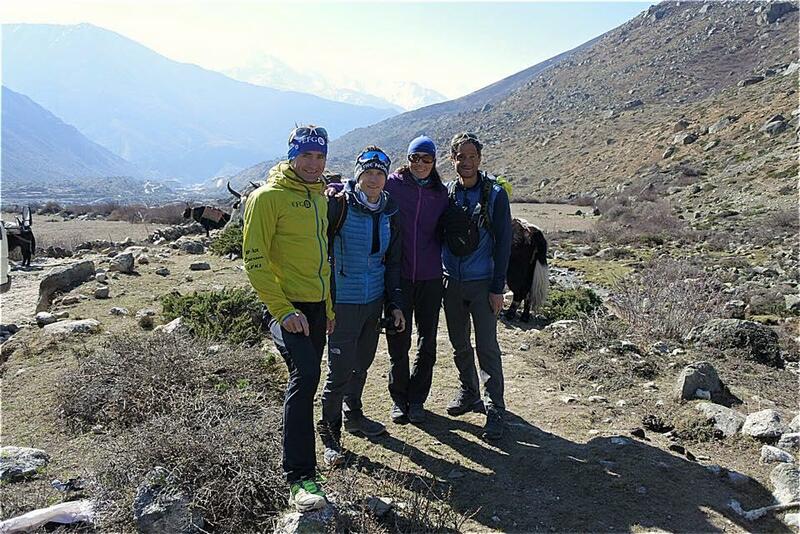 Meanwhile, Kobler-Partner team and a French expedition, who will be on normal route of the mountain, left Lhasa today. They will drive to Chinese BC (5000m) and then trek to ABC at 5700m.